perhaps because I’ve never met their match. 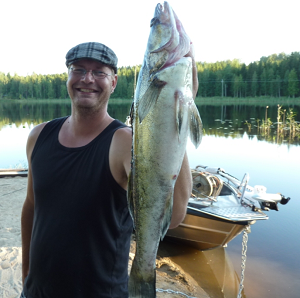 I started fishing as a little boy with a rattan rod and a can of worms. 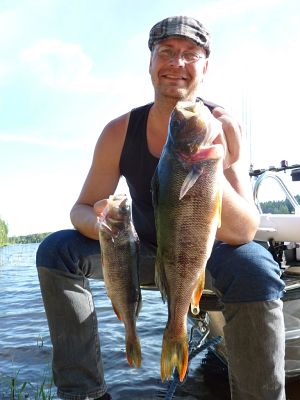 A little later I started to practise lure fishing with a bunch of lads from my neighbourhood, casting for pikes. I learned to row a boat before I learned to swim. I made a deal with my granddad that I won’t fall of the boat and drown or he’ll beat me. It was one lesson I learned well: I didn’t fall off then and I haven’t fallen off so far. Trolling is something I learned by mistake when I was ten, first with a rowing boat and later on with a motor. Trolling started to give me fish and really took my heart. It is a love that has lasted ever since. 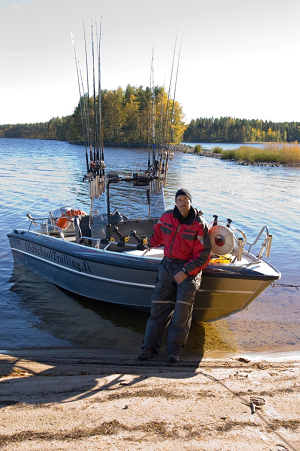 So, after this training period of mine that has taken a few decades I welcome you to come and catch some fish on the beautiful Lake Saimaa. 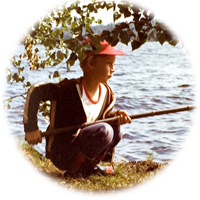 I believe you’ll find your favourite way of fishing with me, be it trolling, jigging or vertical jigging, Finnish “pilkki” fishing or classic casting – regardless of your age or gender. For me fishing is almost a spiritual experience that includes also wandering in nature, enjoying the peace, the scenery and the waters. We can call our fishing trip a success if it leaves you feeling satisfied both physically and mentally. I have been asked what my company name, Old School Trolling, means. It comes from the way me and my grandfather used to fish when I was a young boy. While driving route on the lake we would troll, but whenever we reached a specific embankment or set of rocks we would stop and switch from trolling to ice fishing from boat, worm fishing, or casting spoons or spinners. Sometimes we would also use nets and fish traps. 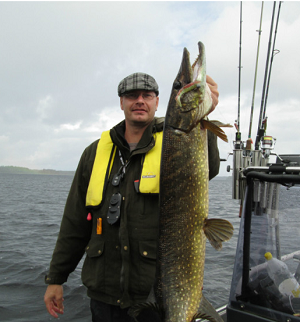 Our fishing was wide-ranging and I still apply some of those elements to my fishing events. The most important lesson I learned was to take only what we would eat. We did not kill any fish just for fun. That was the ideology of old school fishing and these are still my values. To this day I only take what I eat and release the rest, keeping in balance with nature. Nature is for finding peace for your stressed mind, for relaxing you, if you let it do so. The older I get the more important this mental side of fishing becomes to me.